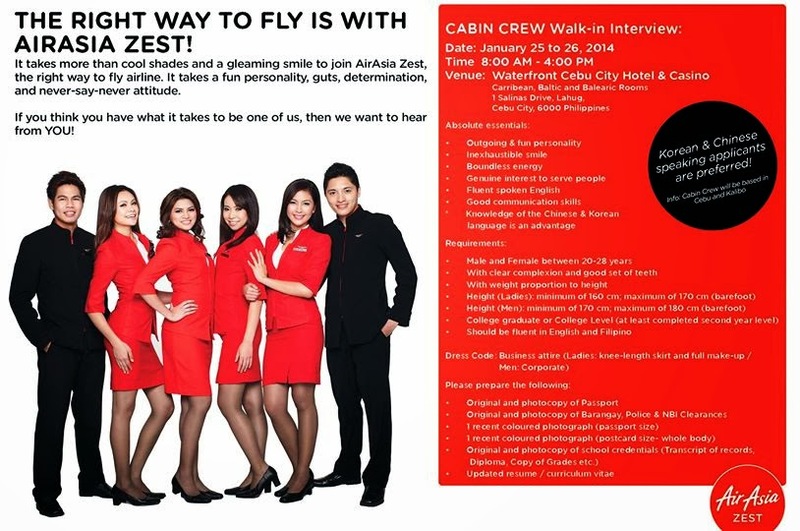 Air Asia Promos 2019 to 2020: Air Asia Zest Is HIRING!!! CEBU, we want you! Do you want to fly right with the world's best? If you think you've got what it takes to be an Allstar crew, then we want to hear from you! So, what are you waiting for? Get ready and we'll see you on Saturday! Best of luck everyone! 'Share' this with your family and friends!